It's surprising that we've gotten this far in the series without needing to clear Drupal's cache, but eventually this is a trick you're going to need to use. Often times if a feature in Drupal isn't working right, it can be traced to an outdated cache. In this video we perform the simple (but often unthought-of) task of flushing the caches and explain why this is sometimes necessary. Okay, it still doesn't seem to be working. There's one more thing that we can try to do, which is clearing our caches. The idea behind caching is that it takes a lot of processing power in the computer or the server in order to perform certain actions, and the results of those actions can be saved so that the same processing doesn't have to happen every time the result is requested. So for example, on this page we're looking at a blog entry. 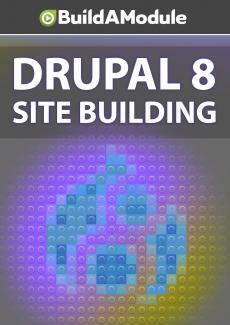 To produce this blog entry, Drupal has to go through numerous steps in order to generate this content. But Drupal saves the end result of all that processing as a cached version and that's what it displays by default until something changes in the content that will invalidate the cache and cause the content to be re-rendered.